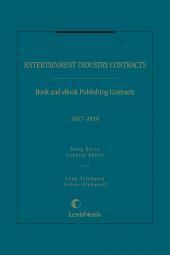 Entertainment Industry Contracts Book and eBook Publishing Contracts provides a comprehensive overview of the Publishing Industry along with forms, agreements, expert legal commentary and practice tips for all facets of publishing from noted experts such as Leon Friedman. 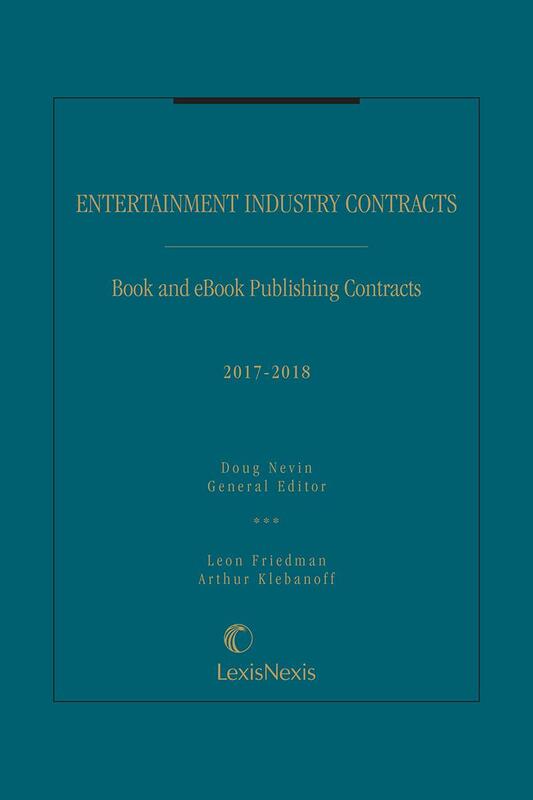 Additionally, Arthur Klebanoff, noted eBook publishing expert, provides a comprehensive overview of the Digital Publishing Industry, eBook formats, metadata, eBook publishing forms & clauses as well as sales and marketing approaches for eBooks. 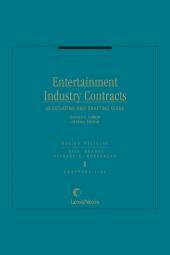 Material in this publication is also published in Volume 3 Entertainment Industry Contracts. After graduation from Harvard Law School, Professor Friedman worked for the New York City law firm of Kaye Scholer, Fierman Hays & Handler. 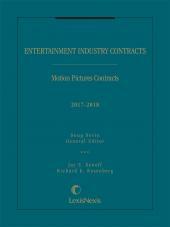 He left the firm when his play, The Trial of Lee Harvey Oswald, was produced on Broadway and was later made into a television movie. He became general counsel of a New York publishing firm, Chelsea House Publishers, and then was selected as associate director of the Committee on Courtroom Conduct for the Association of the Bar of the City of New York, where he and Norman Dorsen wrote Disorder in the Court, the leading work on the subject. Thereafter, he was the director of the Committee for Public Justice and staff attorney for the American Civil Liberties Union during the Watergate era, where he litigated numerous cases dealing with national security, misuse of government power, the legality of the Vietnam War and the draft, and the First Amendment. He continues to write amicus briefs on important Supreme Court cases for the ACLU, PEN American Center, the Association of the Bar of the City of New York, and other public interest groups. He has testified before Congress on numerous occasions. Professor Friedman is the author of more than 100 law journal articles and newspaper columns in such publications as The New York Times, The Nation, The New Republic, and The American Scholar. His book The Justices of the United States Supreme Court, 1789-1969, won the annual Scribes Award for the best book on a legal subject. 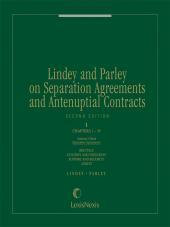 Among his other books are The Supreme Court Confronts Abortion, Unquestioning Obedience to the President, The Wise Minority and Southern Justice .He is a leading copyright lawyer and has represented such entertainers as Kathleen Turner and James Brown as well as many authors such as John McPhee, I.B. Singer, Stephen Spender, Hunter Thompson, Susan Sontag, Oscar Hijuelos and the Estates of T.S. Eliot and Edith Wharton. He has also represented Jean Harris in an important First Amendment case dealing with the "Son of Sam" law, and Rubin "Hurricane" Carter, for whom he obtained a writ of habeas corpus, freeing him from 19 years of imprisonment. His activities on behalf of Hurricane Carter were featured in the film "The Hurricane" starring Denzel Washington. He acts as general counsel to PEN American Center, a leading writers group fighting censorship. Arthur Klebanoff is a lawyer (LLB Harvard 1993). He founded RosettaBooks LLC (www.rosettabooks.com), now the leading independent digital publisher, in 2000 and serves as its CEO. In 2013, RosettaBooks was named one of the 500 Fastest Growing Privately Held companies by Inc. Magazine, the only publisher to be named to the list.